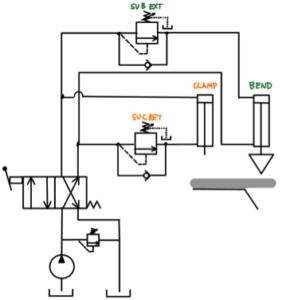 Describe the operation of this manually sequenced clamp and bend hydraulic circuit. 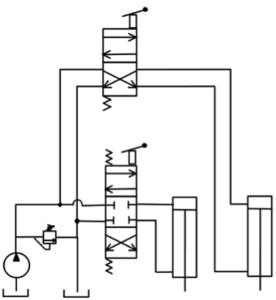 Discuss any disadvantages of this system. Describe the operation of this clamp and bend hydraulic circuit making use of a single directional control valve. 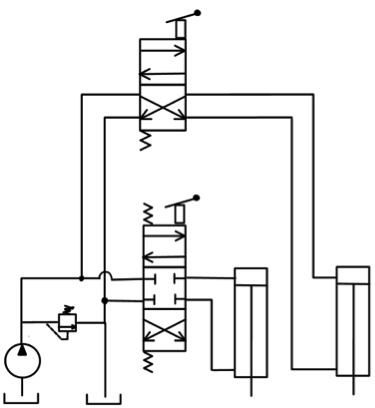 Discuss any disadvantages of this system. Describe the operation of this electrically controlled clamp and bend hydraulic system. 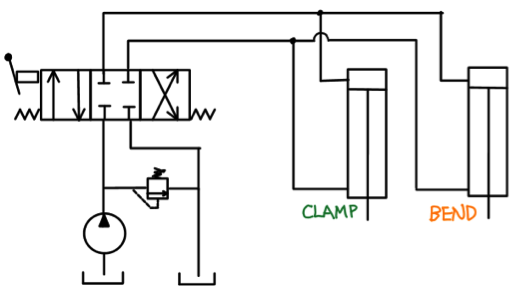 Describe what would occur if the clamp cylinder ever lagged significantly behind the bend cylinder during retraction. 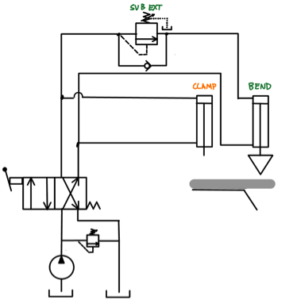 Describe the operation of this electrically sequenced clamp and bend hydraulic system. 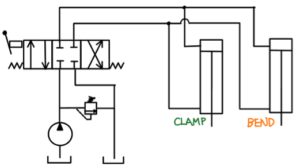 Discuss any advantages exhibited by the above purely electrically sequenced clamp and bend system compared to those making use of hydraulic sequence valves.